Adept Fireplaces provide a professional wood fireplace installation service across . Just choose the type of fireplace you like, traditional or more contemporary, and we will come along and install it for you, it really is as simple as that! Our wood fireplace installers are happy to visit your property and provide a survey to discuss your exact requirements in detail, giving you the wooden fireplace of your dreams. Your Installation will be carried out by Gas Safe Registered & HETAS registered installers, following all current building legislations and building regulation standards. For your complete peace of mind our wood fireplace installers in are covered by public liability insurance. Please be aware that your room may become dusty, due to the nature of the job. We will always take the necessary steps by covering up as much as we can with dustsheets, however, we do advise that you remove some of your valuables to a safer place. A fireplace is the focal point of any room, and it is vital that when you are choosing a new wood fireplace that you get the very best advice, combined with quality workmanship. As fitters rather than suppliers, our wood fireplace installers are able to provide completely unbiased advice on products from various suppliers, and are able to recommend on where to look for the best prices. 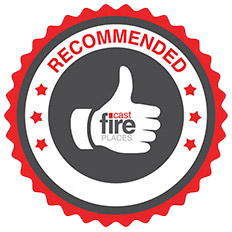 Before you commit to buy a fireplace, contact us for a FREE survey, this will ensure that your chosen fireplace is suitable for your home. Call us today on 01256 462570 or drop us an email on clive@adeptfires.co.uk.